When 3-year-old Gabe Negreiff complained of stomach pain last spring, his parents Brooke and Mike knew something was wrong. On April 3, 2018, doctors at their local hospital found a tumour: kidney cancer. Gabe would need months of treatment in Vancouver, over 600 KM away from their home in Castlegar. 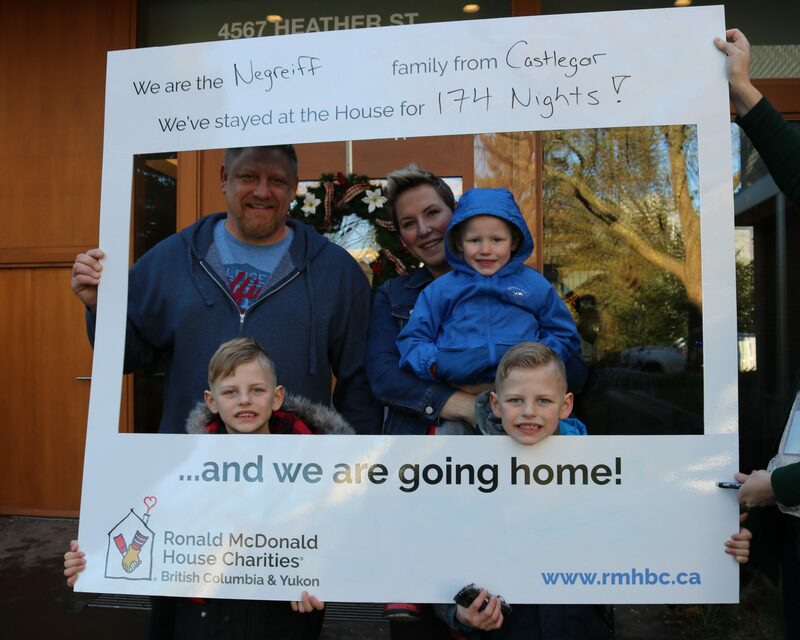 Like the experience of many RMH BC families, what started as a normal day ended with an unexpected flight to Vancouver that night. In Vancouver, they learned more about the months ahead: surgery to remove Gabe’s right kidney, followed by chemo and radiation. They would need to find somewhere to stay for several months of treatment. 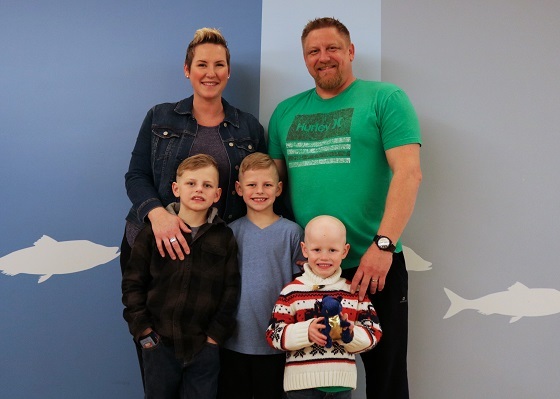 10 days after their arrival in Vancouver and worried about the future, Brooke and Gabe first walked through the doors of Ronald McDonald House BC and Yukon. Right away they were welcomed by volunteers and activities that helped Gabe feel at home in an environment where it wasn’t unusual to see a bald kid running around. He loved joining art therapy and music therapy, and visits with guide dogs in training helped lift his spirits when he missed his pets back home. Staying at Ronald McDonald House also gave Gabe and Brooke the ultimate cure for homesickness: their family. Gabe’s older brothers, 8-year-old twins Graysen and Coleman (along with dad Mike) were able to come stay for the whole summer. 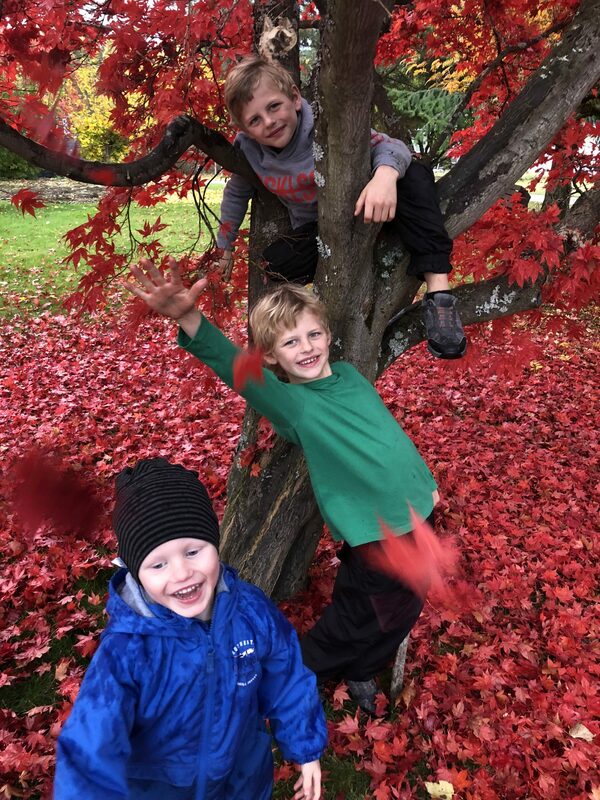 At RMH BC, Graysen and Coleman could stay by their brother’s side while also having a safe, kid-friendly space to run, play, and be the energetic 8-year-olds they are. 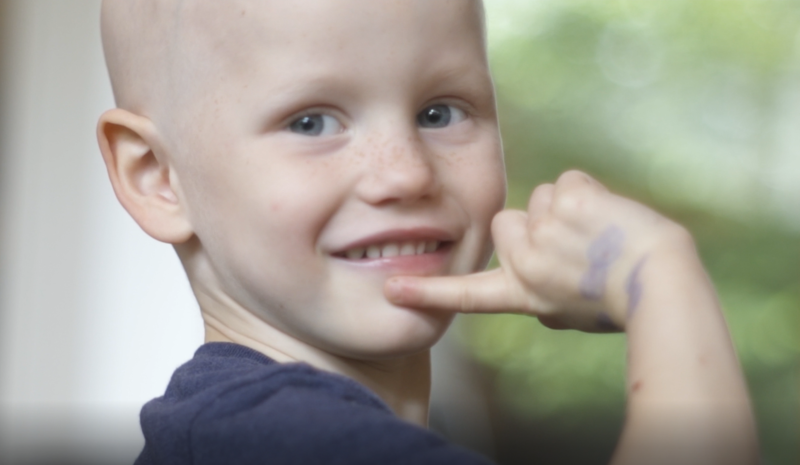 Happily, Gabe had his last chemo treatment right before Christmas. Until he is 20, he will need regular checkups in Vancouver, and whenever he visits, he will have a home away from home at RMH BC. Thanks to you, kids like Gabe and their families can stay together. Donate today and keep a family like the Negreiffs close.